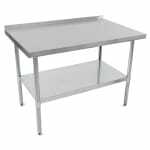 The John Boos UFBLG6030 work table has a stainless steel top that resists corrosion and provides strength for heavy use. It is sound deadened and reinforced with a 1-inch-by-2-inch channel. There is a 11⁄2-inch riser on the rear, which keeps messes and equipment separated from the wall. 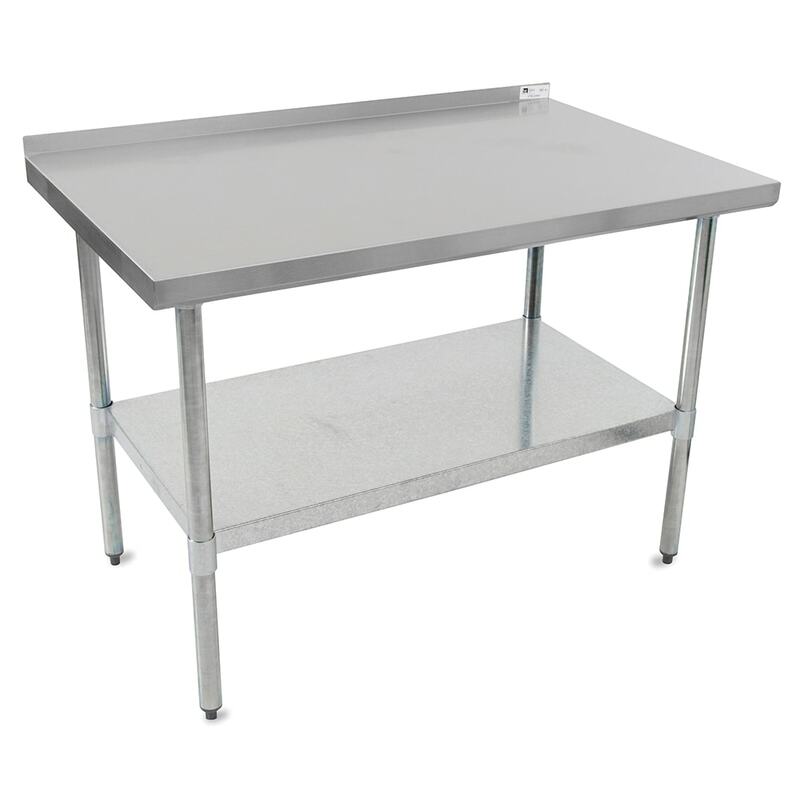 An undershelf is included on this John Boos UFBLG6030 work table for storing equipment and supplies. The base, which includes the legs and undershelf, is made of galvanized steel. Learn more about commercial work tables in our stands and tables guide.